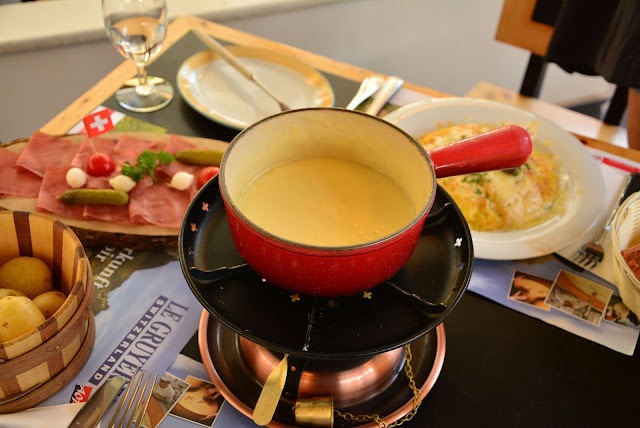 The Paris Feast: Gruyeres : Swiss cheese and more. The word Swiss cheese brings to mind the hard yellow delight with multiple holes in them where Jerry, the mouse (if you are familiar with him) can hide. 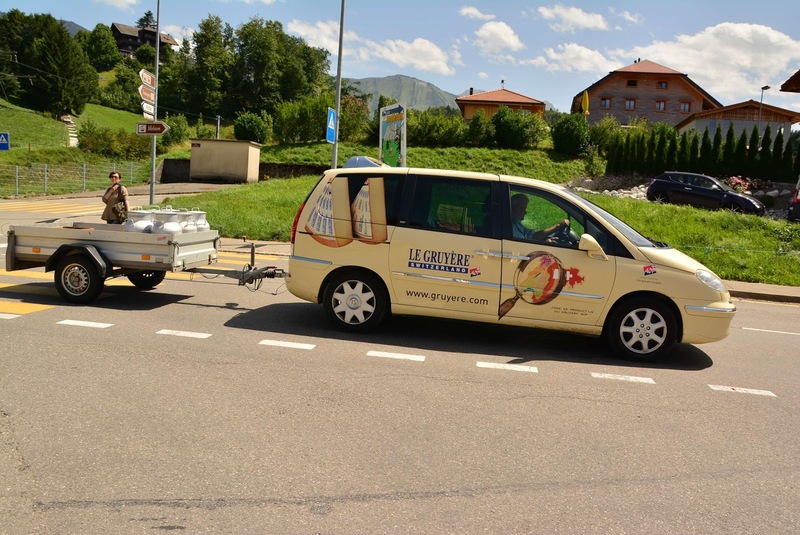 But this is true for only the Emmental which is one of the 450 types of cheese Switzerland is home to. 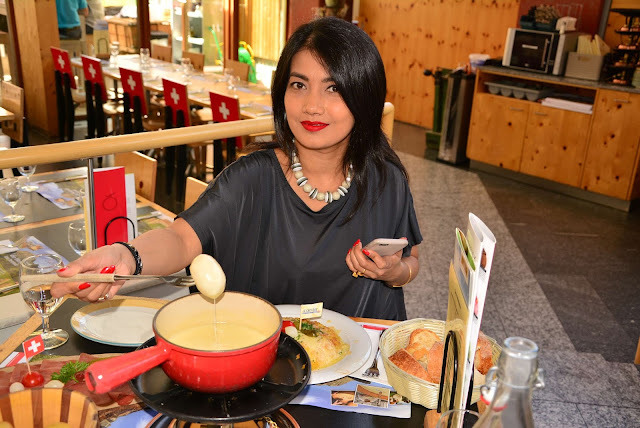 A very popular among those Swiss cheese is the Gruyere, and may be more typical to Switzerland than Emmental as it holds a geographical protection (AOP) and thus only the cheese made in the designated region under strict regulations is considered to be Gruyere. 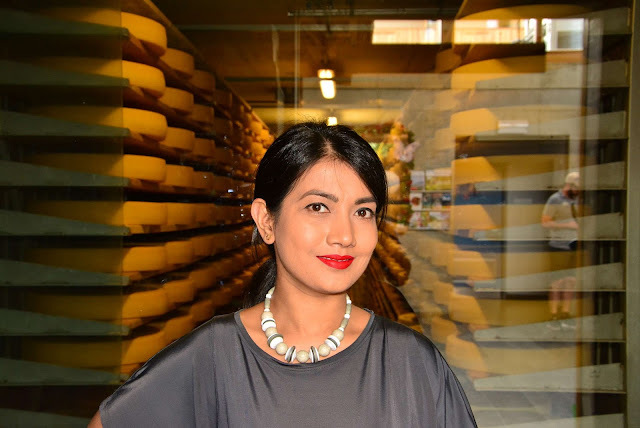 The Gruyere like Emmental is hard and yellow made with cow milk and also has fine cracks which are much smaller than the Emmental. 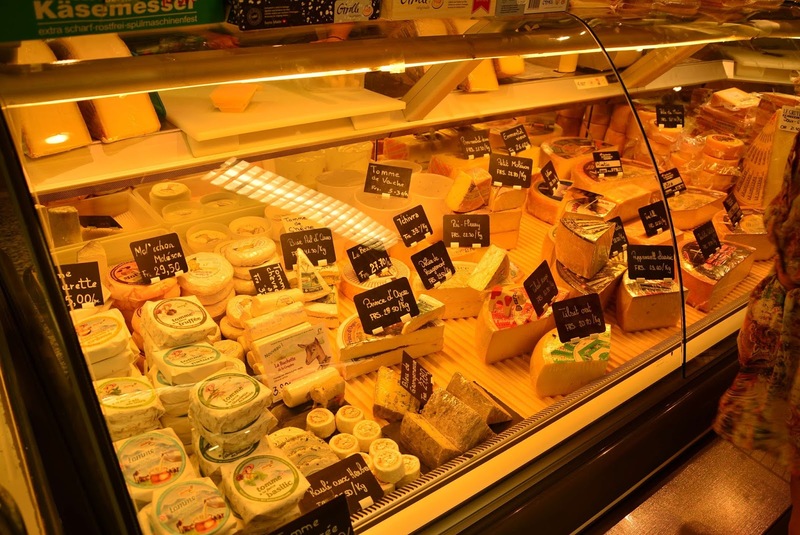 In fact the cracks or holes in hard cheese are considered as defects and imperfections and cheese makers tend to avoid them. 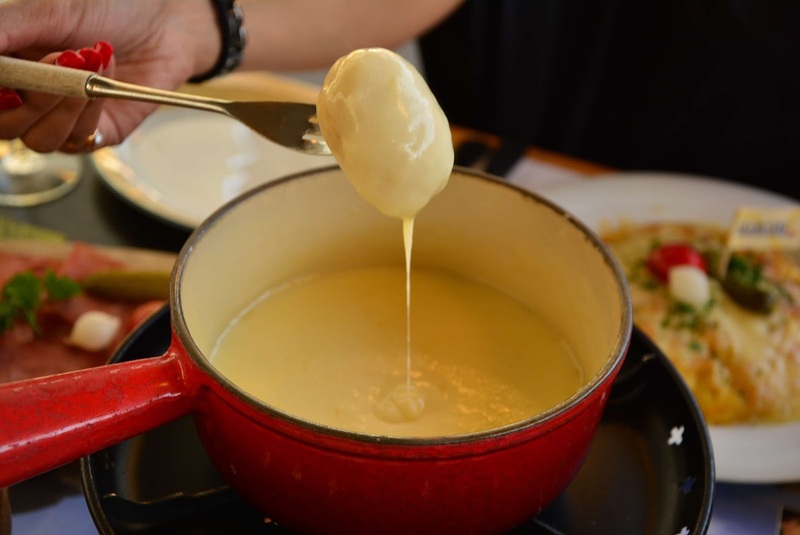 The Gruyere is the main type of cheese used in all authentic versions of Swiss Fondue which is the official Swiss national dish since 1930. 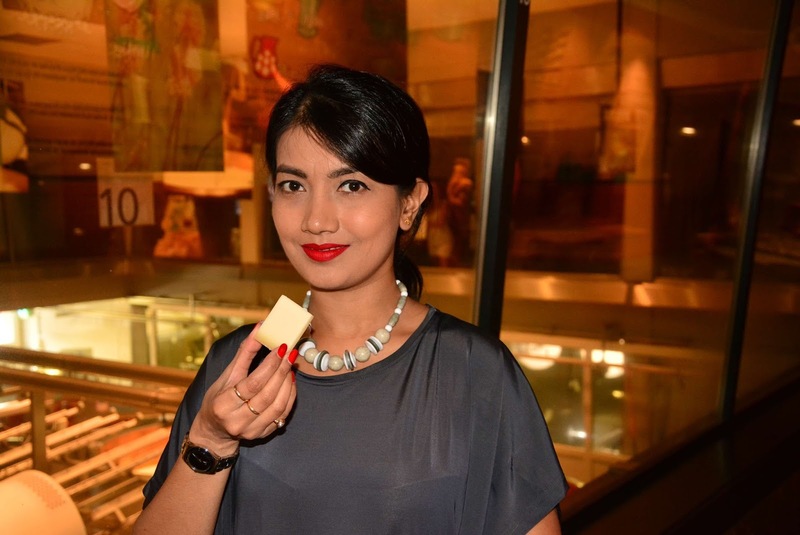 So this cheese is deeply embedded in the Swiss gastronomical culture. 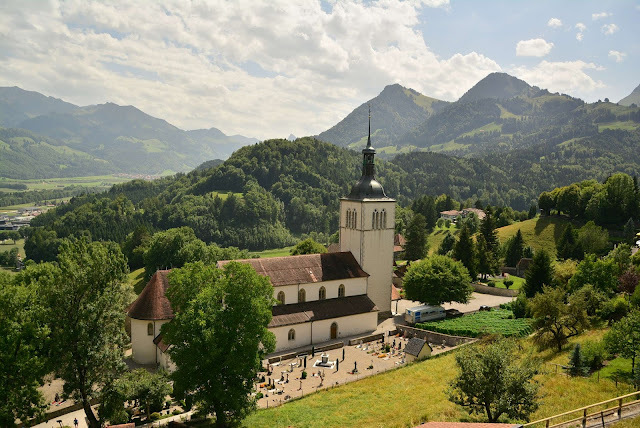 What is important to note is that the cheese takes its name from a small village Gruyeres, on the top of an isolated hill in the northern Alps, at the foot of Mount Moléson. 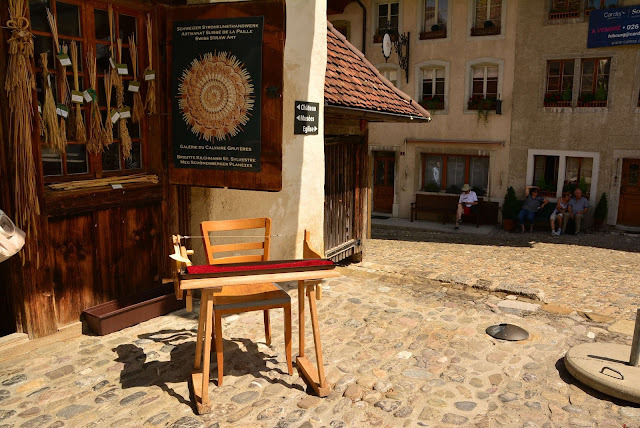 So this blog post is about this serene village, and about its most famous creation, the Gruyere cheese. P.S. Do not miss the small video at the end of this post which concludes our visit to Gruyeres. 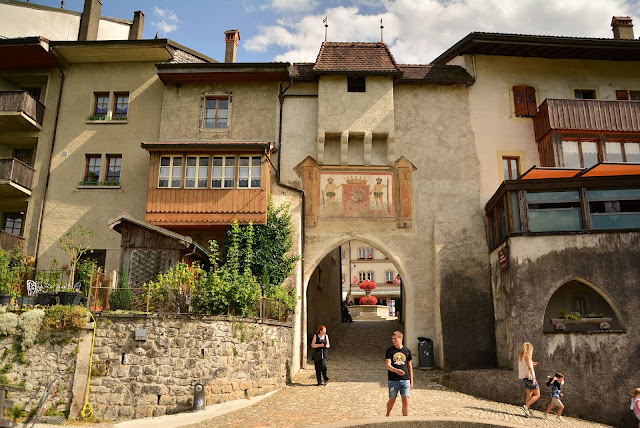 Getting there : Gruyeres is located in the canton of Fribourg and can be reached by train from Geneva with two changes at Romont and Bulle (the capital of the district of Gruyere) and takes about two and a half hours. 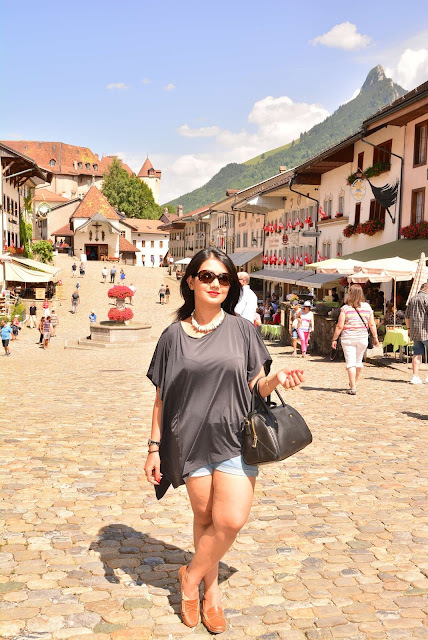 This is how we reached this quaint little village. By train from Bern it takes around one and a half hours with also two changes at Fribourg and Bulle. Now that we have arrived, I will start directly with the most important landmark of this region, the cheese factory. 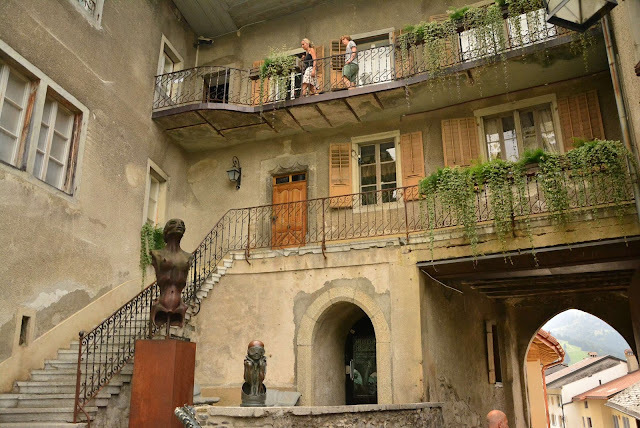 La maison du Gruyere (the name is in French as Gruyere lies in the French part of Switzerland) is just opposite to the station and it is the first building you will see when stepping out in Gruyeres. 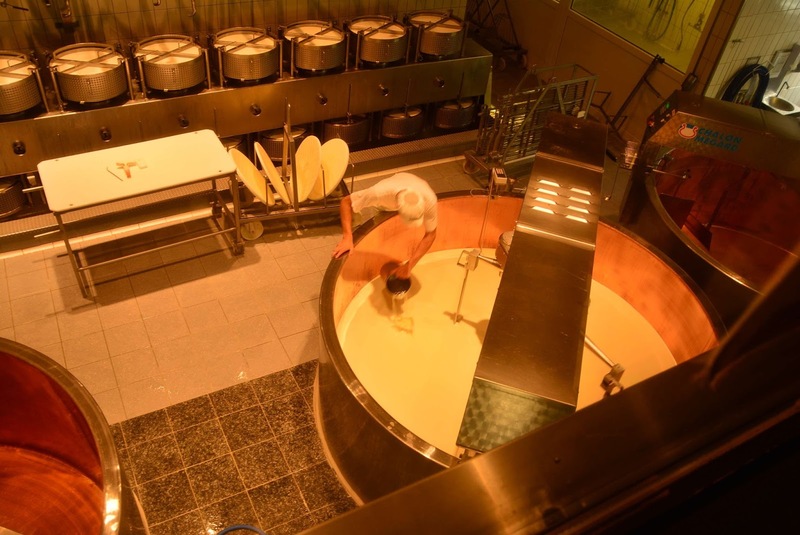 It is a cheese factory, rather a demonstration cheese factory. Click here for the official website. Ok! Let me give some details about its existence. A bit of history : Cheese is made from milk, in this case, cow’s milk, and when there is milk, there are milk producers and where there are local producers; there must be a cooperative company, the Laiterie de Gruyères (Gruyères Dairy) to unite them which was created in the 1960s. 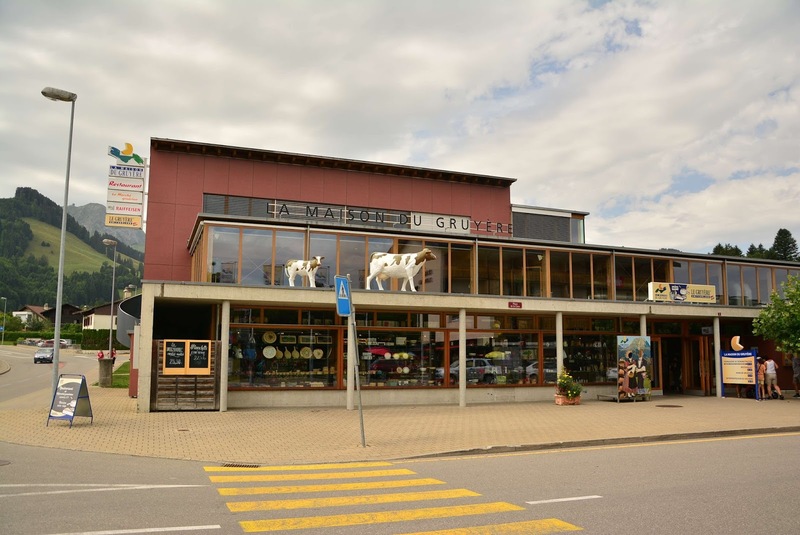 To satisfy the curiosity of tourists wishing to see how this uniquely famous cheese is made (Gruyere already had a tourist turnout of around 120,000 visitors a year), a demonstration cheese factory was opened by the cooperative at the foot of the hill on which the village of Gruyeres is situated in 1969. This factory was increased in capacity and the present demonstration site opened its doors on May, 2000. What visitors can see and experience at the factory : The factory is equipped with an elevated platform from where the visitors can see the live production of cheese. Let me briefly present the steps in cheese making for clarity. 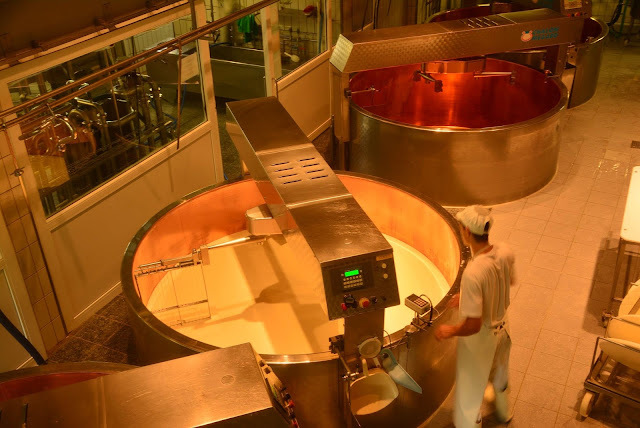 There are 4 vats in the factory with a capacity of 4800 litres where the milk is heated to 31°C and the rennet is added to coagulate the milk. This procedure is done for the four vats one at a time. For the first two vats, the procedure is done at around 7.30 A.M and 8.30 A.M thus before the opening times. So for the public only the last two vats can be seen which start at around 9 A.M. and 12.00 A.M. 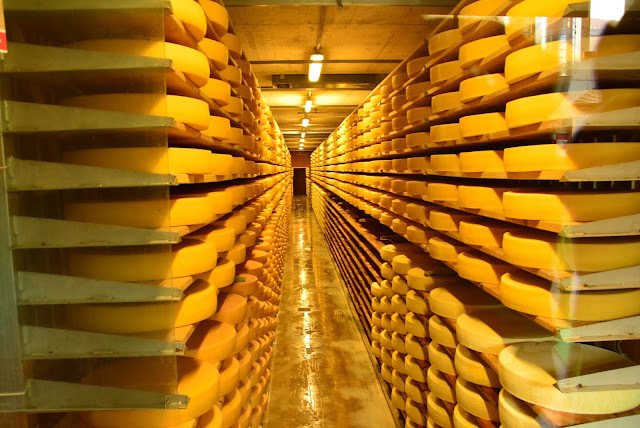 So one must be at the factory, at least before 12 A.M. to be able to see the complete production of cheese in at least one vat. The cheese maker adds rennet to the milk. (here in the barrel the milk of the previous day is mixed with the fresh milk). 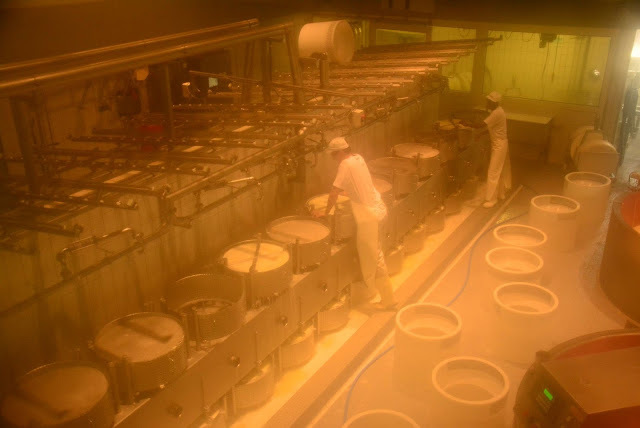 The curding process takes about 40 minutes and then the curd is cut into fine particles. 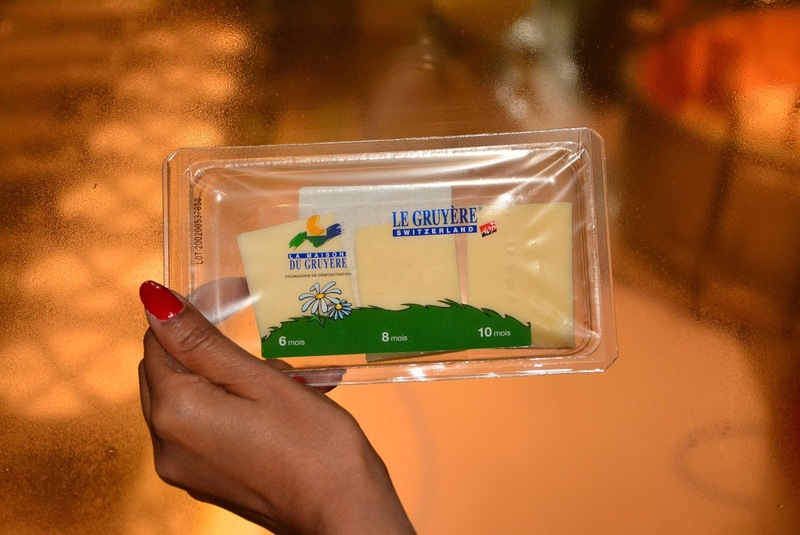 Cutting of the curd by rotating blades. 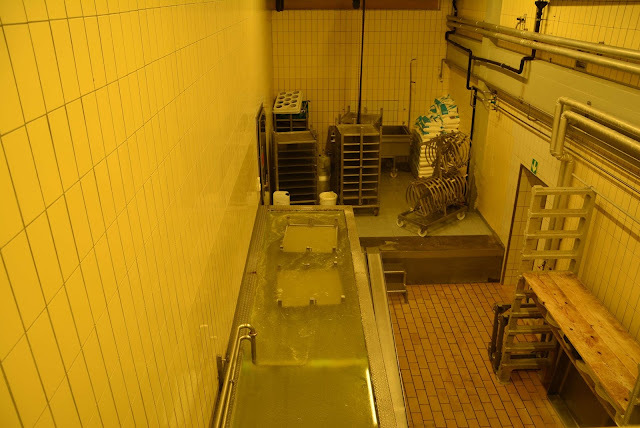 A cheese maker monitors these processes and decides when the curd and whey are ready to be pressed into cheese molds. 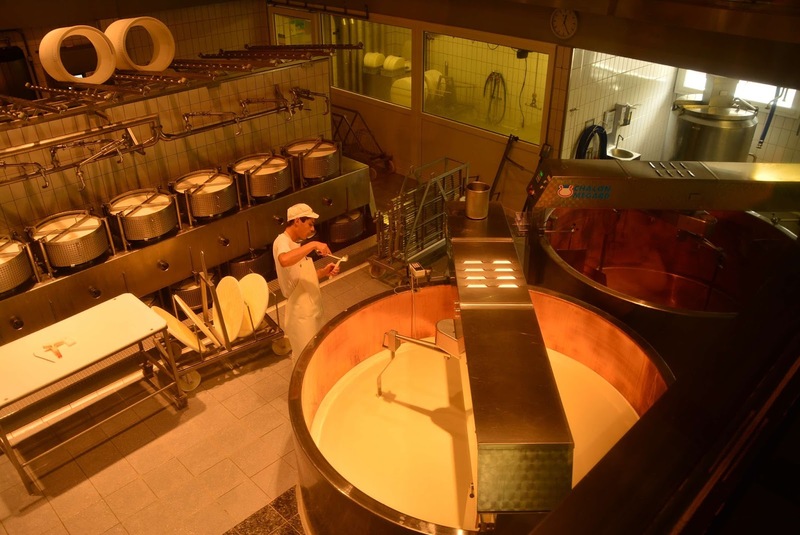 The milk is transferred into molds after about 2.30 hours from the start of the procedure, thus the last vat is emptied at around 2.30 P.M. Make sure to reach the factory before this if you do not wish to see only empty vats. 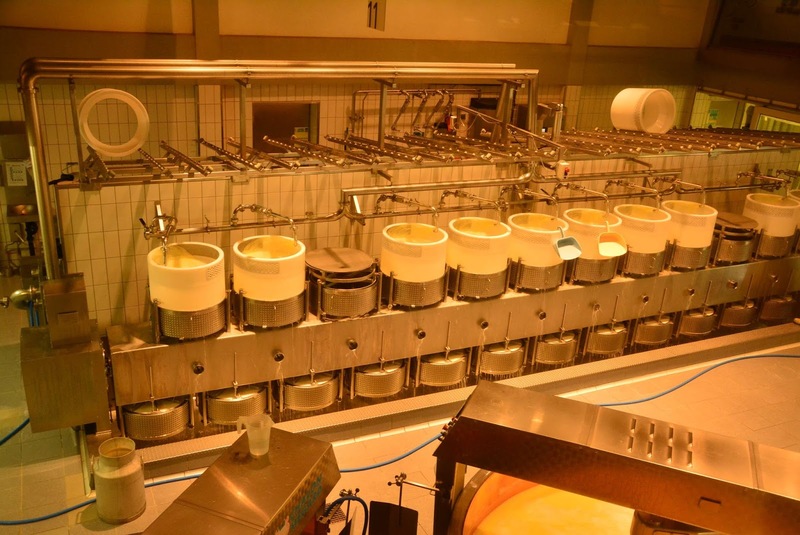 The curd and whey is transferred to the molds after being strained (molds of metal, the strainer is in white). The milk is transferred to the molds where the whey flows out and the curd settles to be then pressed to give the cheese its final form. The pressing is done in automatized molds. 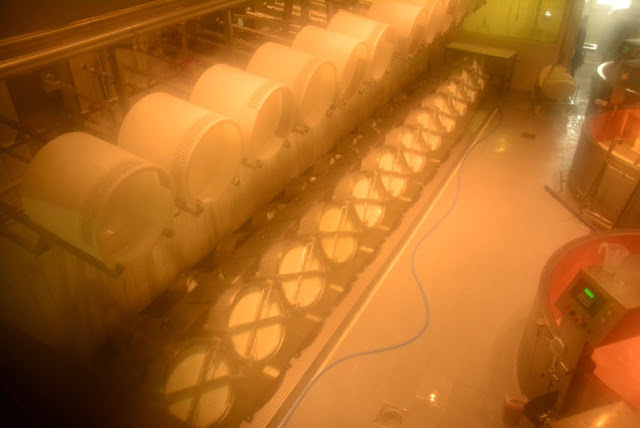 The pressed cheese is then immersed in brine water for 24 hours to make them firm and the finished cheese is finally transferred to the cellars for ripening. The cheese immersed in brine bath. The cellars can also be seen at the factory. There are different grades of Gruyere, depending on the ripening time namely the mild (aged for 5-6 months), medium matured (aged for 7-8 months), matured (8-10months), reserve (for more than 10 months) and extra matured ( aged more than 15 months). 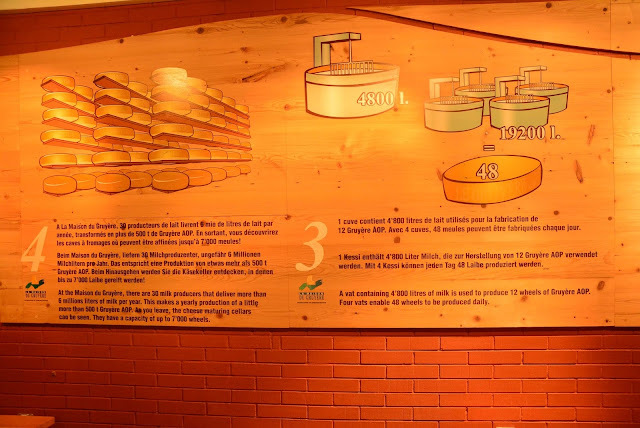 A set of three types of cheese is offered with the entry to the factory. Some of the Gruyere cheese are also aged in chalets atop the alpine hills at altitudes of more than a kilometer and called the Gruyère d'alpage. 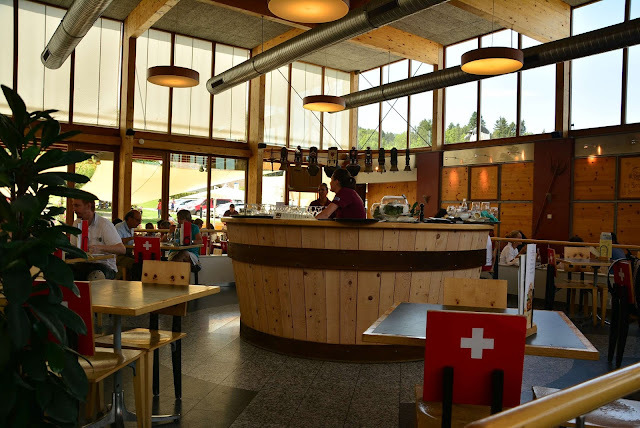 The restaurant : During the visit if one wishes to taste the cheese produced right here at the factory, there is also a restaurant present. One should not miss the typical traditional Fondue here, called the moitié-moitié made with Gruyere and vacherin (another typical Swiss cheese). Then there is also another traditional Swiss dish, the Rosti which is fried coarsely grated potatoes. 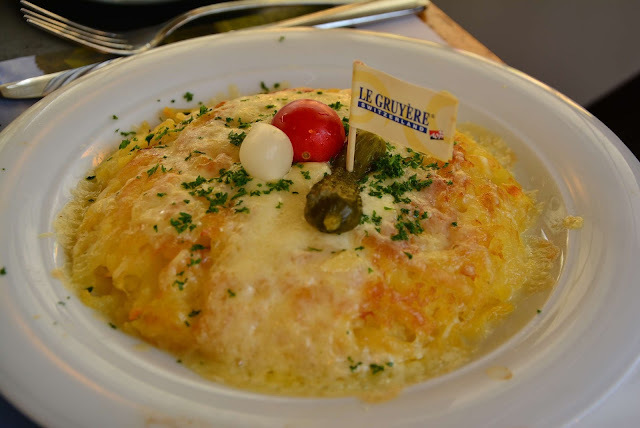 Generally butter or some other fat content is added to the Rosti and here since we are at the maison du Gruyere, that fat content is the Gruyere cheese. The marché : At the factory there is also a boutique where one can buy the cheese prepared here. 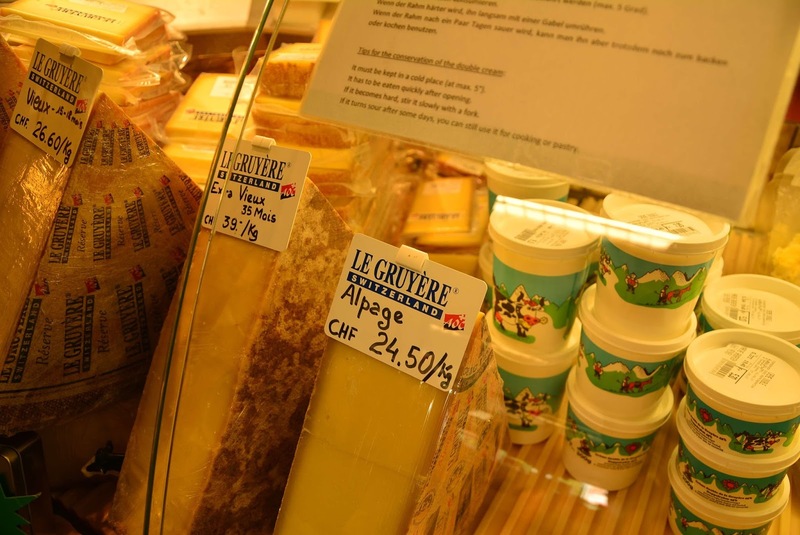 Apart from cheese other souvenirs are also available. The village : Once the visit at the factory and the know-how about cheese making is imbibed, you should visit the village which gives the region and the cheese its name. 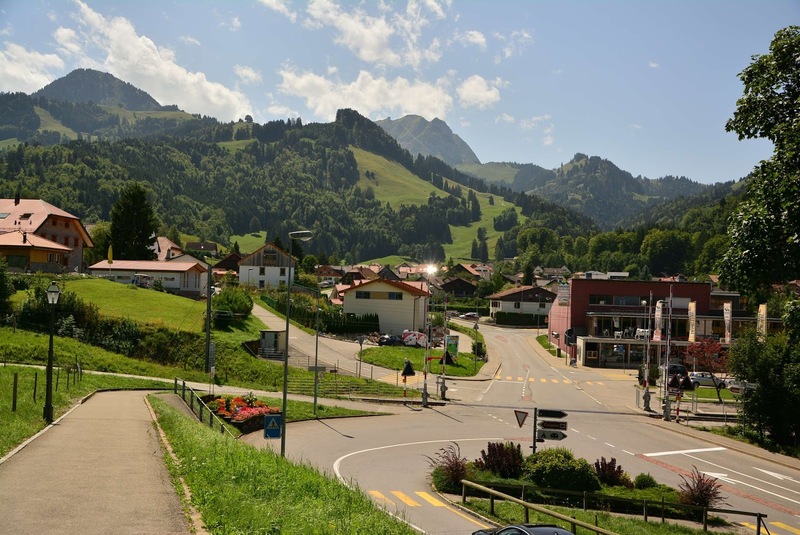 The village as I already mentioned is on the top of a hill at an attitude of 810m and around 900m from the cheese factory (and the station). 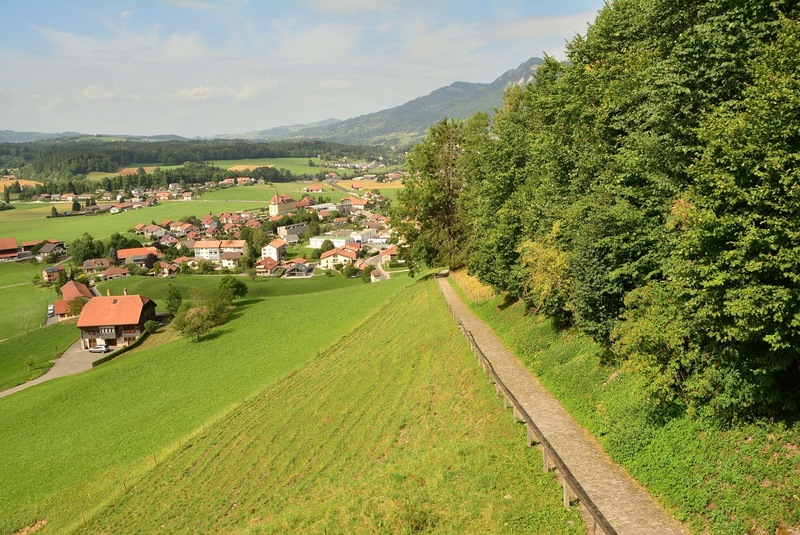 This means there is a slight uphill walk to reach the village and the center. But trust me, it is worth the effort. 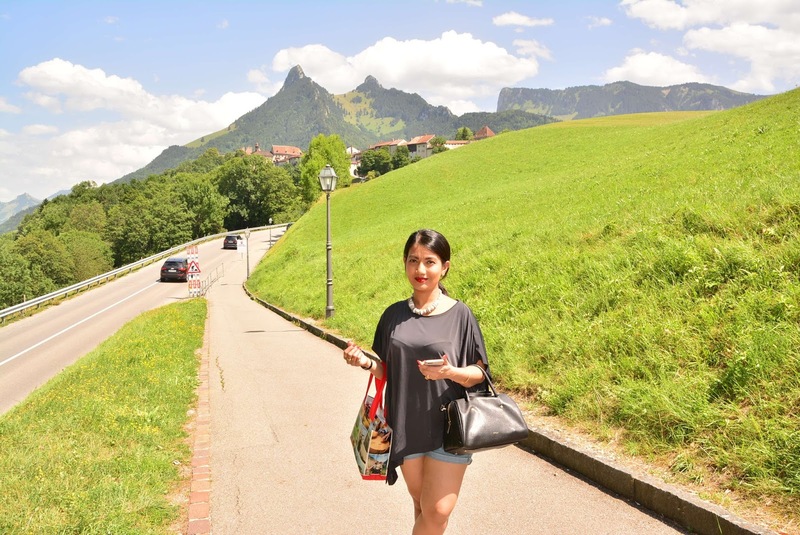 A serene walk among the green pastures, the lush highlands of the Swiss Prealps, some dominating peaks and Mount Moleson looking down from above. I went there in summer, thus the verdure, but I can imagine that it would be just as beautiful in any season. 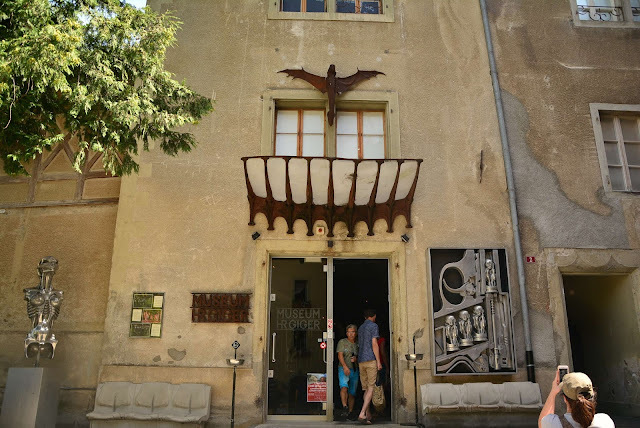 The village itself has a long history, even a myth of its founder capturing a crane (called grue in French) which gives its name. 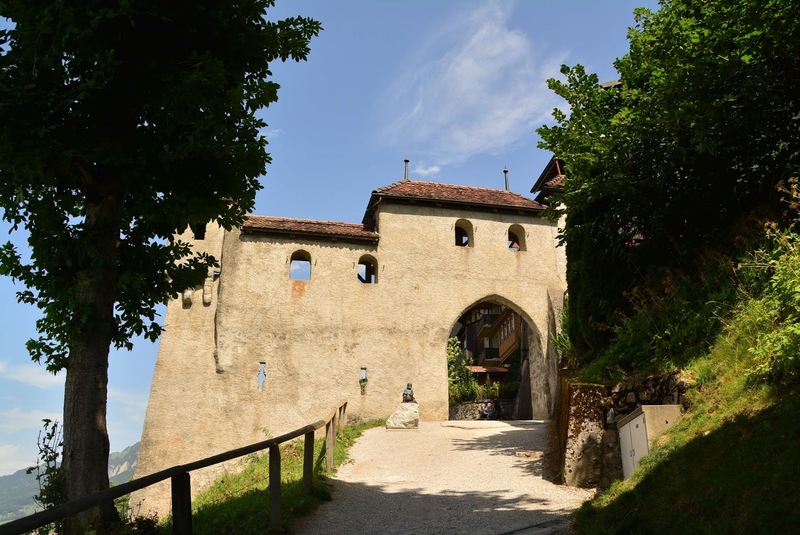 The medieval fortifications and an old gate is the first that welcomes its visitors. 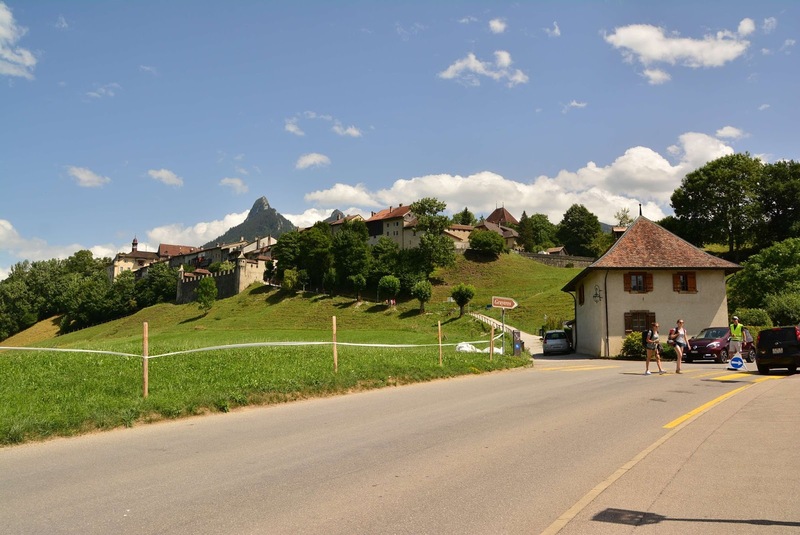 The village has a population of roughly 2000 and thus one can expect peace and tranquility here (if we overlook our fellow tourists). 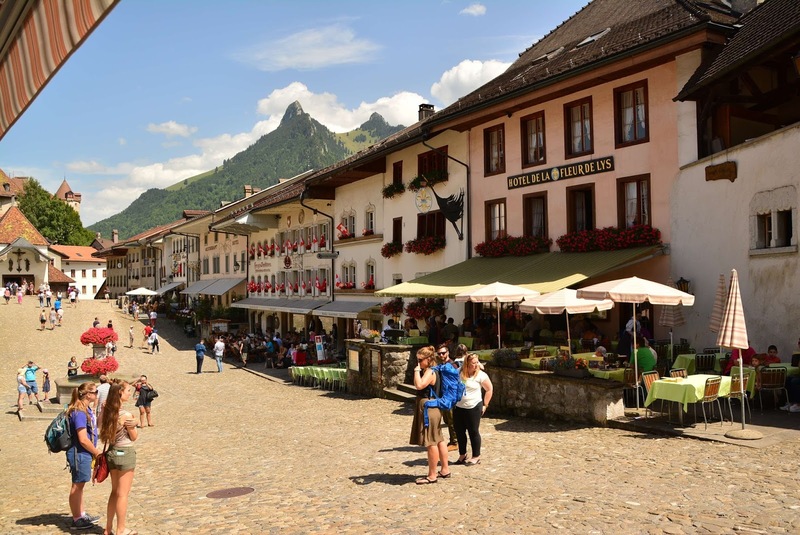 The town center is in itself marvelous, with typical Swiss chalets bordering the square and an impressive view of Mont Moleson and the surrounding peaks of the Swiss Alps. 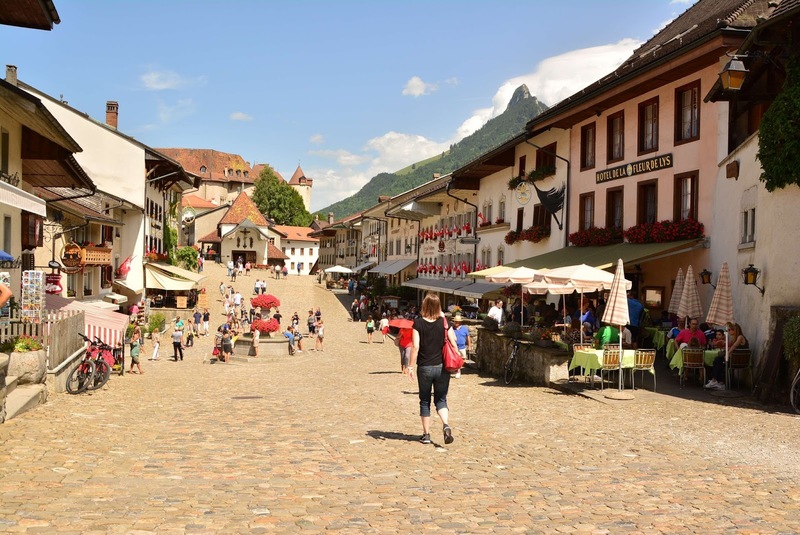 Here you can also find local artisans making and selling their merchandise apart from the evident gruyere cheese products and even an artisanal Swiss chocolate workshop. 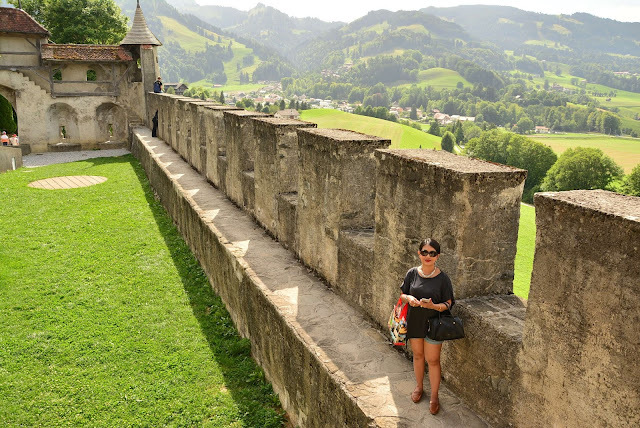 The castle and the church : The city historically was built around a castle built around the 13th century. The castle sits on the pinnacle of the hill of Gruyeres and the view from the top is breathtaking. 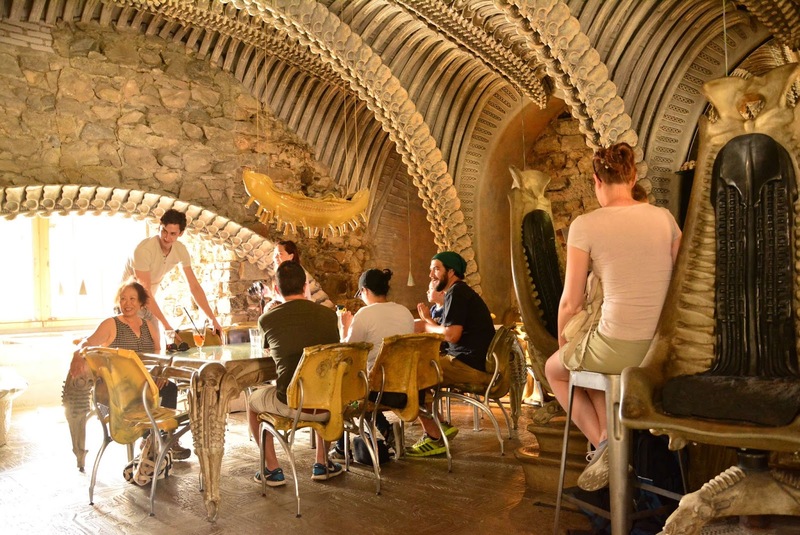 There are also some spots from where it is possible to have a 360° panoramic view of the surrounding landscape. 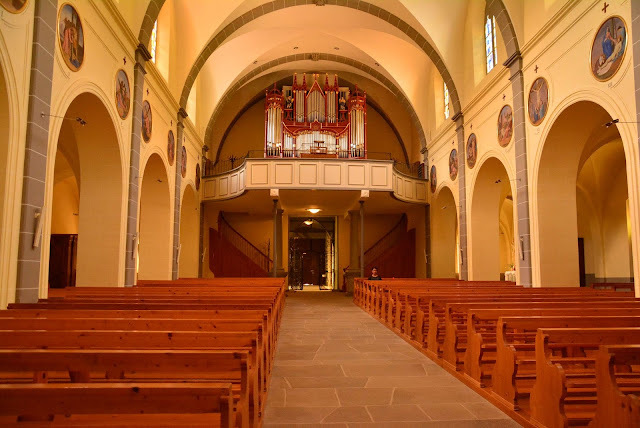 The town church is an perfect example of typical Swiss architecture and you may well find yourself in complete tranquility inside. Click here for the official website of Gruyere tourism. 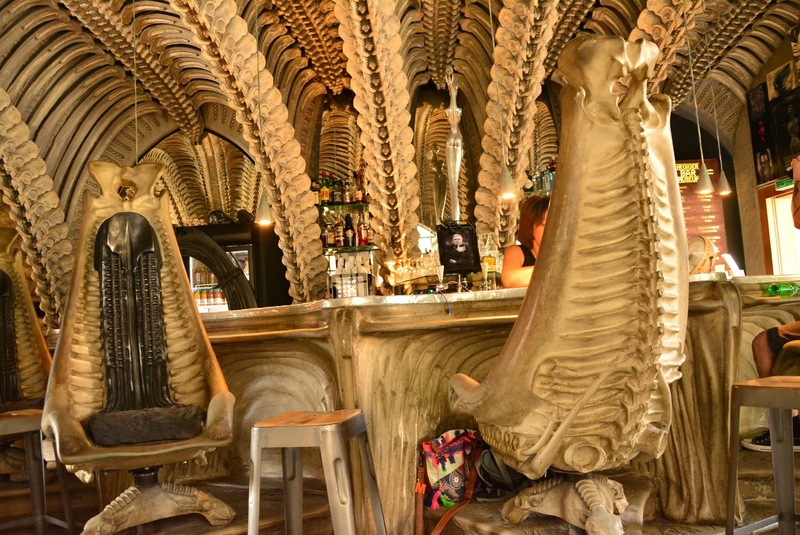 Giger Museum and Bar : H.R. Giger was a Swiss artist, painter, graphics designer and sculptor. He is specially known for his special effects team that won an Academy Award for design work on the film Alien in 1979. Giger applied his biomechanical style to interior design and the first "Giger Bar" appeared in Tokyo, but the realization of his designs was a great disappointment to him, and Giger disowned the Tokyo bar. 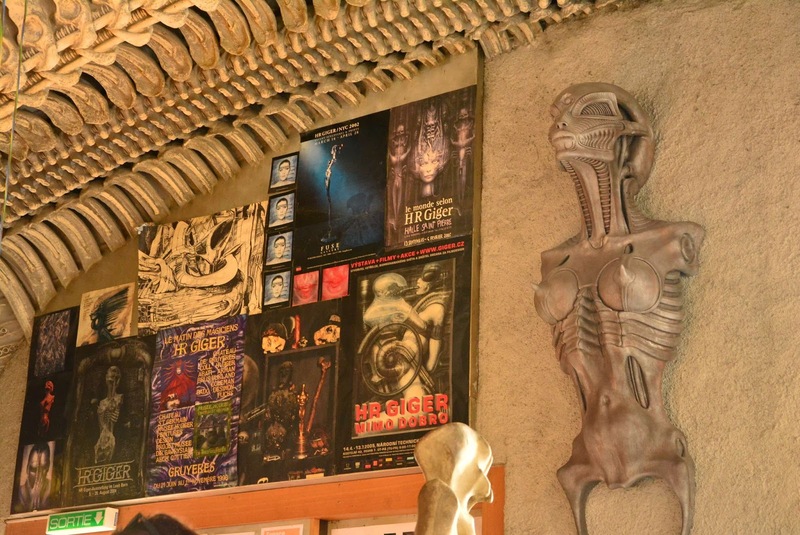 Then two Giger Bars were inaugurated in his native Switzerland, first in Chur in 1992 and then in Gruyeres in 2003, which were built under Giger's close supervision and they accurately reflect his original concepts. Just across the bar is also a museum dedicated to the works of Giger. 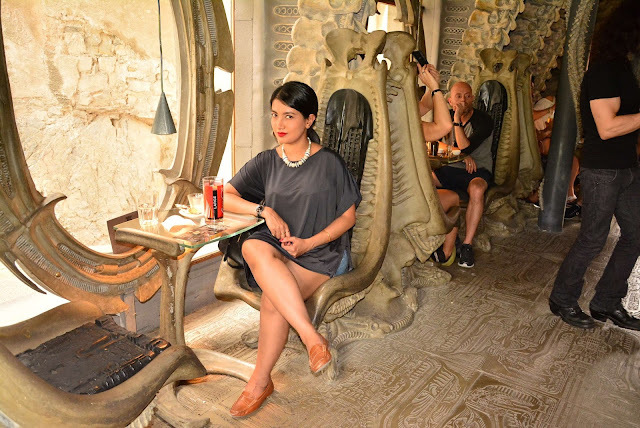 The drinks at the Giger bar are also atypical like the Giger coffee with Swiss schnapps or Alien blood which is rather a twist on the Bloody Mary. 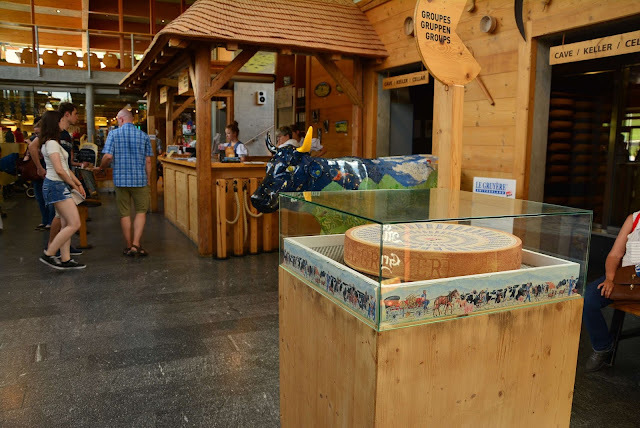 This is just as unique place to visit as the cheese factory when in Gruyeres. Click here for their official website. 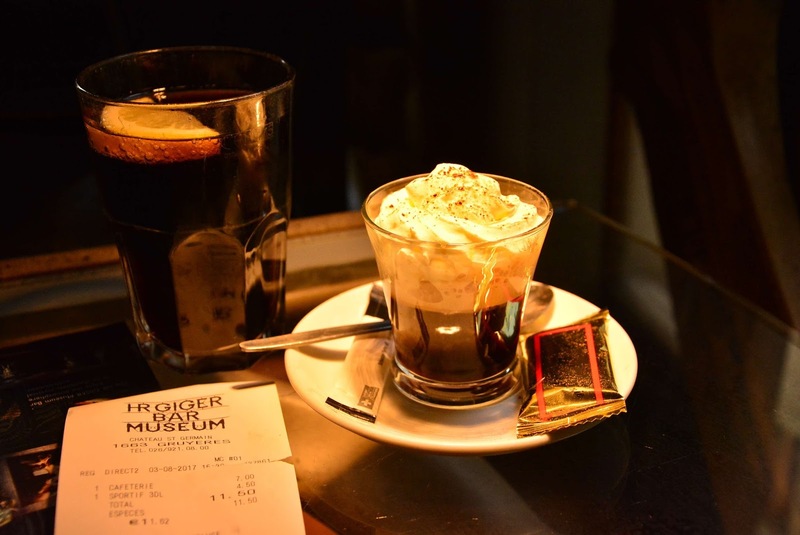 Here is the video which sums up our visit to Gruyeres. 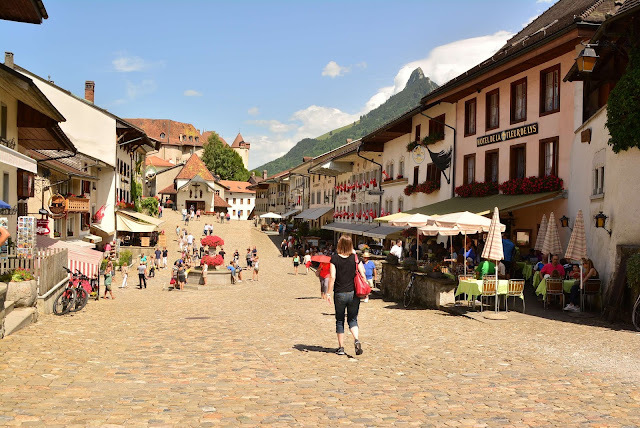 So in all this Gruyeres is one place that you should visit when in Switzerland to dive deep into the gastronomical and traditional culture of this alpine paradise.